15 minutes to buy a car at Tesco | What Car? 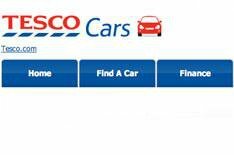 Supermarket giant Tesco has revealed that over 1 million people have visited its used car website Tescocars.com since its launch in April. Tesco surprised the motor trade when it announced its plans to sell used cars over the internet. Rather than start from scratch, Tesco bought into established online retailer Carsite.co.uk. One of its chief rivals, Autoquake.com, went in to liquidation before the new site went live. Referring to the site's unveiling as a 'soft launch', Tesco says that just under 85% of customers buy on the first day they visit the site, and typically within the first 15 minutes of browsing. With no bricks-and-mortar showroom, all of Tesco's cars are accessible via the website. Detailed pictures of the interior and exterior of each are displayed, including a 360-degree view of the cabin, and any scuffs, scrapes or small dents are highlighted. There's no haggling on the prices and you can place a deposit online to reserve a car. However, if you change your mind Tesco will refund the deposit, no questions asked. Customers have the option of inspecting the car at the company's handover centre in Birmingham, or having it delivered anywhere in the UK for 149. Buyers can claim Tesco Clubcard points but it is limited to 2000 points per purchase. As with any can bought over the internet youre automatically covered by online shopping laws, with a seven-day, no-quibble return policy starting from the day of delivery.